The Pope, along with the Roman Curia, left Rome yesterday to begin their annual week-long Lenten retreat in Ariccia, which is located just outside of Rome. A pastoral visit to San Giovanni Rotondo, Southeast of Rome; where St. Padre Pio lived and ministered on March 17th, and Palm Sunday Mass in St. Peter's Square on March 25th. Moreover, Holy Thursday morning's chrism Mass will be celebrated at St. Peter's Basilica on March 29th, and Good Friday liturgy on March 30th. These events will then be followed by the Nighttime Way of the Cross at Rome's Colosseum that evening. 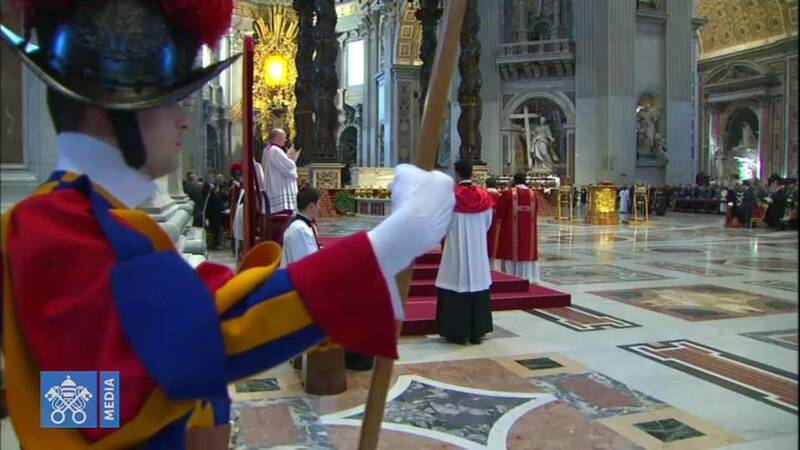 Some final note worthy events include the Easter vigil St. Peter's Basilica on March 31st, and Easter morning Mass in St. Peter's Square the following morning on April 1st. 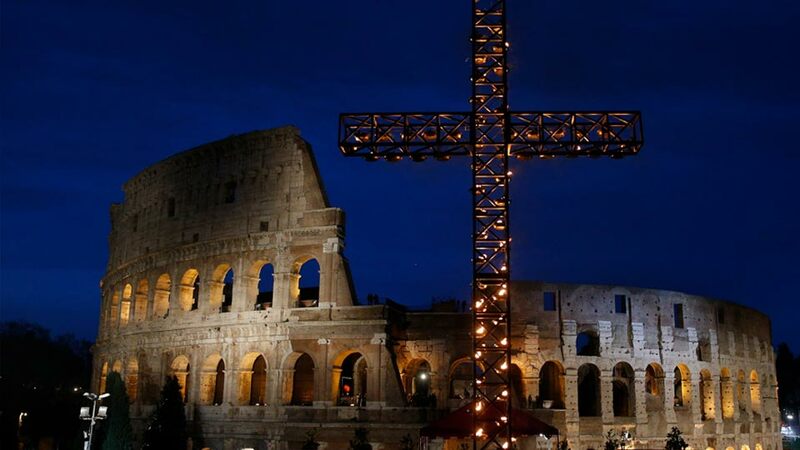 As usual, the Vatican schedule didn’t specify where exactly Pope Francis will celebrate the Holy Thursday Mass of the Lord's Supper, however the location this year will be announced closer to the celebration. We will be covering all these events, with LIVE commentary on the network so, be sure to check our television schedule HERE. In other news today, it looks like Blessed Paul VI will be canonized later this year. 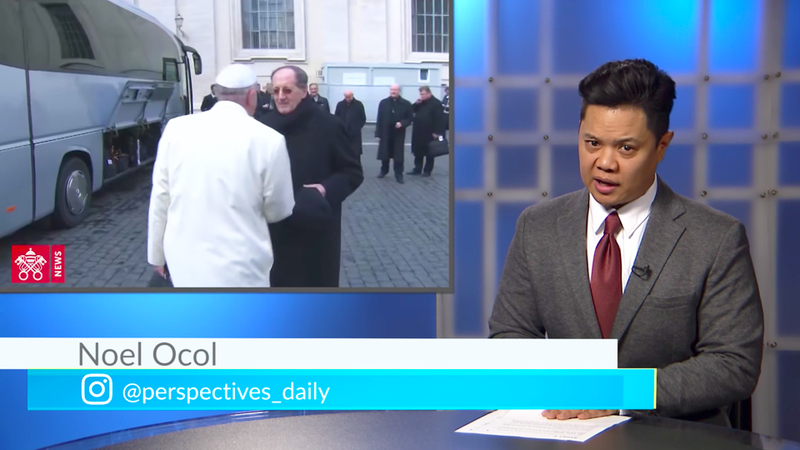 Pope Francis made the announcement to the pastors of the Diocese of Rome during a question-and-answer session, that he had with the priests on February 15th. During the session, Archbishop Angelo De Donatis told the priests that they will receive a book of "meditations" about priesthood drawn from speeches from each pope, from Blessed Paul VI to Pope Francis. That prompted Pope Francis to comment that; "There are two bishops of Rome who are saints already - St. John 23rd and St. John Paul II. Paul VI will be a saint this year". Afterwards, the Pope said jokingly, “The sainthood cause of Pope John Paul I is open. Benedict and I are on the waiting list; so pray for us." Although the Pope announced the upcoming canonization, the formally signed decree recognizing the miracle has not yet been signed, nor the date set for the ceremony. Pope Paul VI was the head the Catholic Church from 1963 to 1978. And finally, Chaldean archbishop; Archbishop Bashar Warda of Iraq, recently spoke at an event taking place at Georgetown University, in Washington, DC. He said that “If Christians in the Middle East are going to be honest with their Muslim dialogue partners, Muslims will have to acknowledge that the persecution of Christians in the region did not start with the Islamic State's rise to power in 2014. Once again, for more information and highlights of the event, please watch the video above.